Buoni Amici Press, LLC brings you over 10 years of experience in book marketing, promotions and design with the owners of Book Enthusiast Promotions and DRC Promotions coming together to bring authors stellar services and sleek design. With a mutual desire to celebrate the great authors and books they come across they pooled their vast knowledge and resources together on several occasions with much success. That sparked an idea and Buoni Amici Press was born. Catalyst Publishing provides experienced step-by-step publishing, marketing, and website design services to those of you who want to share your stories with the world (or just with your best friends). Whether you’re an author or an organization, we will create the high-quality print and digital assets you need. Take it one step further and we’ll provide the marketing and distribution required to reach your audience. Eva Zimmerman is a professional publicist and communications expert with over ten years’ experience in trade and travel publishing. She provides publicity and marketing services for a variety of authors–traditionally, indie, and self-published. Her clients are regularly featured on the nation’s top-rated TV and radio, and in the most well-read magazines, websites, blogs, and newspapers. 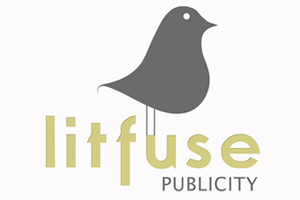 Litfuse is a full-service publicity firm specializing in media relations, publicity, blog tours, creative book promotion, web events, and social media campaigns. Our focus is Christian fiction and non-fiction book releases. Jennifer Prost Public Relations is dedicated to maximizing exposure for books and authors — serious nonfiction, how-to/self-help, parenting, business, and fiction. I’ve recently started working with children’s books and authors as well. With 15 years working in-house for book publishers and over 15 years as an independent publicist, Jennifer Prost knows what it takes to get the word out and dig deep to get the best possible coverage for every title/author. Each manuscript is its own ecosystem. 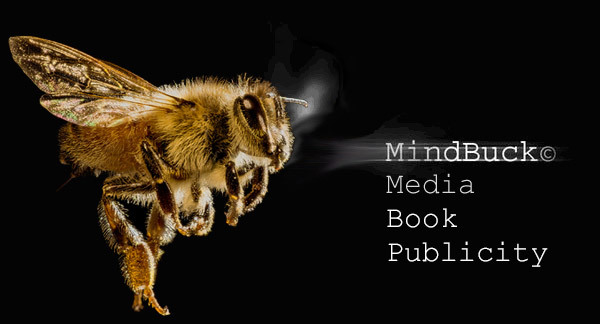 Our team at Mindbuck Media loves to dig in, discover connections, and introduce your book to its readers. We specialize in fiction, memoir, creative non-fiction, memoir. We accept some non-fiction, occasionally short story collections, very occasionally poetry. No business books. No self-help. RMA Publicity, founded in 2009, provides marketing, public relations and media relations services for publishers and authors. Company founder Rachel M. Anderson has more than 25 years of communications experience across a wide range of disciplines. She currently works as a marketing & PR consultant and publicist. She also has major market media experience, having previously worked in both Tampa, Fla., and Minneapolis, Minn., as a television newscast producer and assignment editor, television newscast reporter, newspaper reporter, and marketing and direct response copywriter. Since 2014, she has helped clients achieve more than 450 media placements. Sandy Lane PR specializes in developing brand awareness and long-term partnerships between its clients and website editors. This allows Sandy Lane PR to remain a unique and effective solution for individual and corporations who wish to develop a prominent online presence and increase their brand awareness. Sandy Lane positions experts, authors, products and services on many of today’s leading lifestyle websites. Based in Southern California, Sandy Lane PR has been in business since 1999 and is owned and operated by Annie Leedom. Annie has built the online platform of more than 300 clients. Get a Top Book Publicist to Promote Your Book! Book Publicist Scott Lorenz works with bestselling authors and self-published authors promoting all types of books, whether it’s their first book or their 15th book. He’s handled publicity for books by CEOs, Navy SEALS, Homemakers, Fitness Gurus, Doctors, Lawyers and Adventurers. He’s generated media coverage for numerous genres including, fiction, health, romance, business and children. Get all the publicity your book deserves and more! Contact Scott Lorenz today.